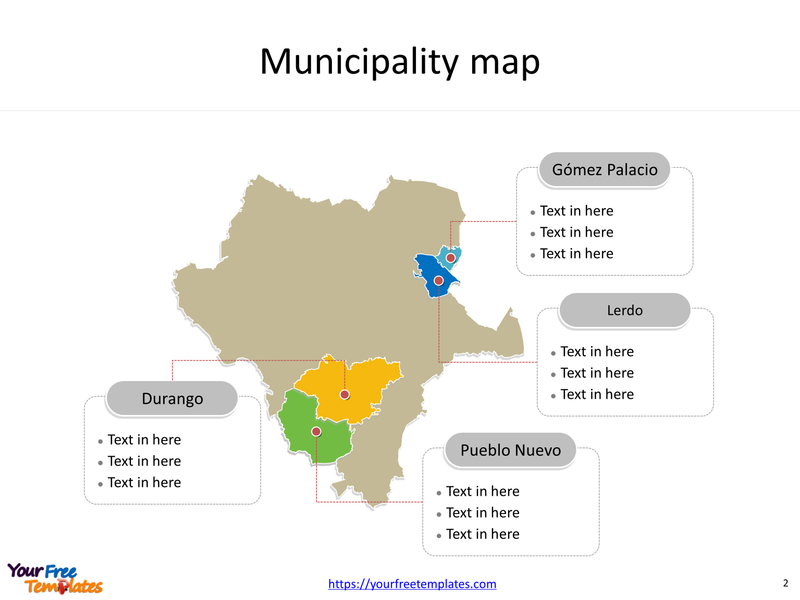 The State of Durango map Template in PowerPoint format includes two slides. Firstly the Durango map with outline is labeling with capital and major cities. Secondly the Durango maps with municipalities and labeling with major ones. 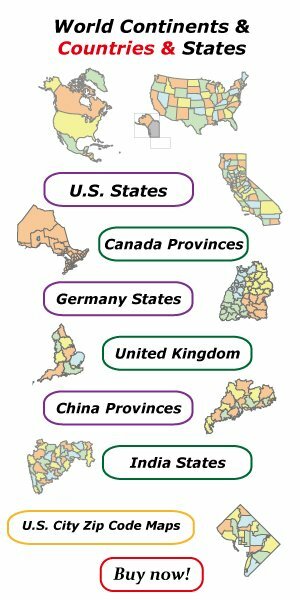 So our Durango maps PowerPoint templates have capital and major cities on it. They are Victoria de Durango, Gómez Palacio, El Salto and Ciudad Lerdo. Finally the most populated municipalities are Durango, Gómez Palacio, Lerdo, and Pueblo Nuevo. 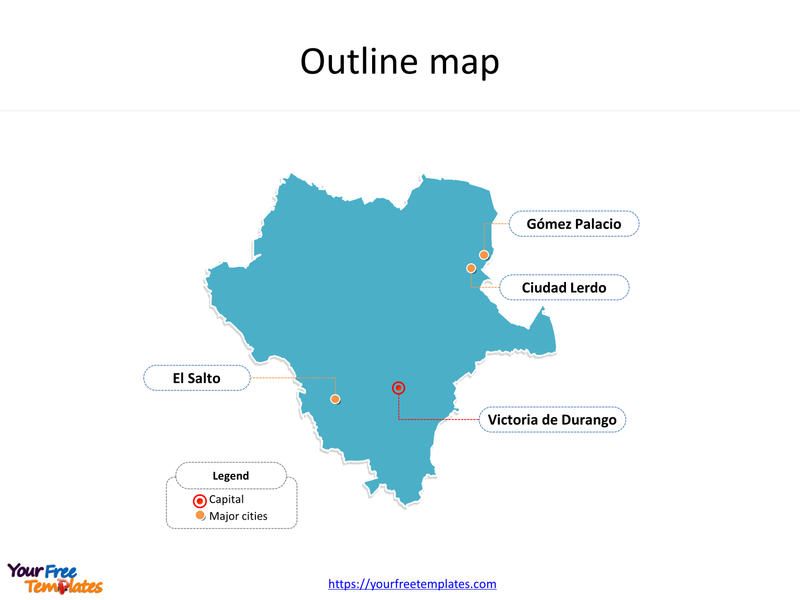 The Durango maps PowerPoint templates include two slides. Durango is one of the 31 states that along with the federal district of Mexico City make up the 32 federal entities of Mexico. It is a state in northwest Mexico. The state of Durango is landlocked, bordering the states of Chihuahua, Coahuila, Zacatecas, Nayarit and Sinaloa. It is divided into 39 municipalities, based off the 1917 Constitution with various divisions since then. Its capital and largest city is Victoria de Durango, other major cities including Gómez Palacio, El Salto and Ciudad Lerdo. You can found them in our Durango maps PowerPoint templates. The most populated municipalities in Durango State are Durango, Gómez Palacio, Lerdo, and Pueblo Nuevo. What is more, with a population of 1,632,934, Durango has Mexico’s second-lowest population density, after Baja California Sur. The labels and shapes are layers of different groups. At the same time you can also refer to the fully labeled State of Durango in Wikipedia. Believe it or not, analysts from marketing research companies, consultants from professional firms think highly of our website yourfreetemplates.com. Most important of all, our maps can help to reduce their efforts and create good-looking maps.